Amazon Prime Video was the first of it’s kind to introduce video on demand streaming. It’s a monumental achievement in many technical aspects. Though it set the stage, it was Netflix that stole the show. Netflix was the first to allow people to stream in 4K (if you had the bandwidth). It had a lot of successful firsts, so why then was its entry into the Indian masses so catastrophic? Well, to provide a little context, let’s backtrack a bit. Back in early 2016, Netflix decided to push themselves globally all at once to 130 countries, asserting their presence over most of the web connected globe. Part of the reason for its overwhelming success in its homeland is its huge collection. In fact, till date, it still has the largest collection of titles in the US. The same can’t be said about its collection in India, other than a meagre slew of regional titles, and titles produced by itself, which don’t have to be licensed for different markets. For all of its flaws, it does have a very good collection of series. Starting with its most prominent one, House of Cards, which started back in 2013. More recently, it started indulging itself with producing higher budget films with A-list actors. Looking at you, “Bright”. Prime Video on the other hand, has a plethora of regional titles to boast, though it falls a bit short on the English titles. People often overlook it’s standup specials, which contribute a great deal to its appeal. Not to mention its foray into producing regional web series as well, looking at you, “Breathe”. Breathe was a milestone in Indian web series and a big boost for Prime Video. But a good collection of English series proved to be insufficient for the Indian market. Especially at the price that Netflix was imposing. 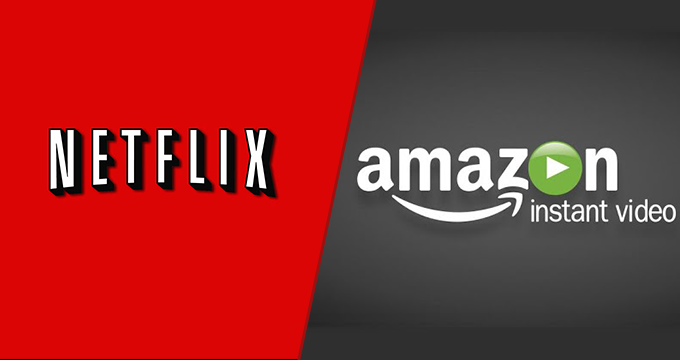 Where Prime Video asks for an innocuous sum of Rs 1,000 per year, Netflix offers plans starting from half that price, Rs 500,per month, making Netflix Rs 6,000 per year. This is a very bad estimate though and doesn’t tell even half the story. For one, at Rs 500 a month, users don’t even get HD and are limited to one screen. To get any kind of a decent viewing experience, you have to opt for the ‘Standard’ package and shell out Rs 650, which essentially makes it Rs 7,800 per year. With a price nearly 8 times cheaper than Netflix, and a regional catalogue that remains unparalleled, it seems like a no-brainer for most Indians which streaming service to favor. Not to mention the numerous other benefits that Prime Video will offer; like free one-day shipping and earlier access to special deals. At the moment being a Netflix customer seems like a waste of money for the average Indian streamer.